Upon graduation from l’ Université de Montréal, Jean was posted to CFB Chatham where he served as Base Dental Officer for 5 years, and after working regular hours as a dentist in a local clinic, it was clear that the Miramichi offered the best opportunities for a busy and challenging career as a general dentist. From this point, a decision was made to develop a multi facetted, group dental practice in the area. Realizing very early in his career, the essential need for hospital care dentistry, Jean with the help and funding of various clinical partners, along with the strong and ongoing referral support from other medical and dental colleagues, treatment has been provided to over 6000 patients, children and adults, who cannot be treated in the usual dental clinic setting. The collegial and cooperative atmosphere, as well as the sincere dedication to high professional dentistry standards of the region, Miramichi marked a good place to work and to live. 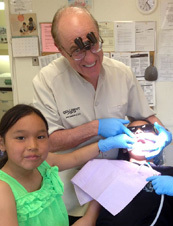 When not working at the Quali-Dent’s Miramichi clinic, Jean provides clinical dental services to the Correctional Services institutions, and recently, at some Inuit settlements in the Nunavut region. A lifelong learner and passionate about dentistry, Jean is a fellow of the Academy of General Dentistry. A past Board member and for many years an active dental examiner for the National Dental Examination Board (Canada), Jean is recipient of the Lifetime Membership Award in the New- Brunswick Dental Society. After learning to fly, to sail, to take care of a small wood lot, and to tell small fishing lies… Jean now, enjoys hiking (including Hiuana Potosi and Kilimanjaro) and becoming a better Pounder! After living in Miramichi for more than 30 years, Jean now refers to himself a true Miramichier! Dr. Krishna Mahabir is a graduate of Dalhousie University School of Dentistry located in Halifax Nova Scotia. He received his DDS in 1999 following a BSC with a minor in Psychology from the University of New Brunswick. Following graduation he began practicing dentistry in Oromocto, New Brunswick. This location provided a great opportunity to extend his dental knowledge. Over the next ten years he completed many programs in various aspects of dentistry while working as an associate in New Brunswick. Through the knowledge and experience grained, Dr. Mahabir was able to provide a broad range of services to his patients in many aspects of dentistry. In 2007, Dr. Mahabir made a decision to move back to the Miramichi to be closer to his family and friends in lieu of moving to Las Vegas to practice with his brother Raman (a renowned Reconstruction Surgeon) at a new Medical/Dental center. As fate would have it, an opportunity became available with Quali-Dent. Dr. Krishna Mahabir is a member of the Canadian Dental Association, the New Brunswick Dental Society, the North Shore Dental Society and the Academy of General Dentistry. Dr. Mahabir currently lives in Miramichi with his wife Sonja and his two children, Ariel and Ethan. He enjoys spending time with his parents and his brother Sanjay’s family, as well as fishing, walking at French Fort Cove, and participating in various activities in the Miramichi area. Dr. Vanessa Pinder was born and raised just outside of Yarmouth, Nova Scotia. In 2003, she moved to Halifax to study at Dalhousie University and earn her Doctor of Dental Surgery degree. After graduation Dr. Pinder moved to the small town of Paradise, Newfoundland to begin her practice. She then practiced in her home province of Nova Scotia for several years before moving to the Miramichi to be near family. Dr. Pinder’s top priorities are ensuring patient’s comfort, providing excellent service, and quality care. She works with each individual to determine the best treatment plan while always communicating all available options. Dr. Pinder is also focused on continuing her education in dental medicine. She regularly attends industry conferences and completes advancement courses to stay current in her field. She is a member of the Canadian Dental Association as well as the North Shore Dental Society and New Brunswick Dental Society. When Dr. Pinder is not practicing dentistry, she enjoys spending time outdoors with her husband Jordan, two young children and family dog. A prize from The American Association of Orthodontists recognizing his exceptional interest in the development of the oro-facial complex. In June of 2007, Dr. Martin joined the very successful practice of Dr. R.H. Bezanson. Since that day, Dr. Martin offers orthodontic services to the Moncton, Miramichi, Amherst and Sussex area. Dr. Martin has been a clinical instructor in orthodontics at the University of Montreal, and he continues to teach in the dental community by engaging himself in seminars and being the organizer of the annual Greater Moncton Continuation Education Day. Dr. Martin is also responsible for putting together the biggest dental study club in New Brunswick. Dr. Martin is also responsible for the orthodontic education of the dental hygienists and dental assistants at the Oulton College. Dr. Martin is able to maintain the highest quality of care by attending numerous innovative lectures, and by being a member of the Canadian and American Association of Orthodontists, as well as the New Brunswick, Nova Scotia and Moncton dental societies. Dr. Martin is also a fellow of the Royal College of Dentists of Canada (FRCDc) and part of the Canadian Dental Association. When he’s not busy in his practice, creating beautiful smiles, Dr. Martin loves spending time with his family and friends. He also enjoys golfing, traveling, cycling, and a nice evening out at a restaurant. Niki is one of Quali-Dent’s longest standing employees, joining its professional team in 1980. Niki has acquired valuable knowledge and experience with various dental insurances plans and will gladly and effectively help you understand and deal with insurances matters pertaining to your treatment and that of your family. Adrienne is no stranger to the world of work; offering her services for over 35 years to dental patients. The office of Quali-Dent is Adrienne’s home away from home. Adrienne has 3 children and 2 grand-children and is married to Rickey Somers. When she is not reading or walking, you can find Adrienne somewhere in community as she has genuine love for people. Gayle joined Quali-Dent’s team of experts in 1992 with a background in banking and finance. Born and raised in the community of Douglasfield, Gayle married Brian Trevors and has one daughter and 3 grandchildren. Gayle’s smile is at the forefront when patients walk into Quali-Dent; leaving a lasting impression due to her joyous personality and her dedication to assisting individuals with all their scheduling needs. During the summer months, Gayle can often be found in Bay du Vin; enjoying what she loves to do best, camping and biking. Blanche has a vast educational background, attending both a nursing school and a business college. She is mother of one and has one grandchild whom she enjoys spending quality time with when not gardening. Blanche is from the Miramichi region and has dedicated her professionalism to Quali-Dent since 2000. Mary Beth graduated from Holland College, PEI in 1986. She has been with Quali-Dent for nearly all her working career, totaling over 25 years. Mary Beth was born and raised in Miramichi, and is married to Jed Casey. She is an avid gardener and cyclist and loves to go kayaking. 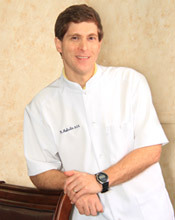 In the world of dentistry, Mary Beth is known for her caring personality; assisting individuals with their overall oral health and helping them to achieve the brightest of smiles. Monica comes from the Francophone community of Baie Saint Anne. In 1992, she obtained her degree as a Dental Assistant from the college of Nova Scotia. She loves nature and has dedicated her professionalism to Quali-Dent for the last 16 years. Stacy received her diploma as a certified Dental Assistant from Holland College in 1994. Upon graduation, she joined the team at Quali-Dent, serving the community of Miramichi now for over 18 years. Calling Miramichi home for all of her life, she is married and has two children. Megan was born and raised in Miramichi and joined the professional team of Quali-Dent in 2010. A graduate from UNB and Oulton College, Megan’s professional competence and qualifications provide Quali-Dent patients with many preventative oral care services. Sonia comes from the vibrant Francophone community of Baie Sainte Anne. She graduated from CC Canada College (Ottawa) in 1992 and has worked for Quali-Dent for the last 15 years. During the summer months, Sonia enjoys camping at Escuminac Beach and gardening. Hiking is also one of Sonia’s favorite activities. 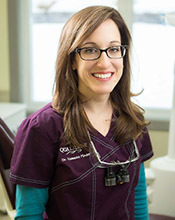 Bernadette graduated from Dental Therapy in 2004 and received her certification in Dental Hygiene in 2010. Immediately after she received her certification in this discipline, Bernadette joined the Quali-Dent team. Bernadette is a native from Metepenagiag First Nations, where spirits live. Bernadette own spirit is admired at Quali-Dent; sharing a flare of culture with her associates and co-workers. She enjoys jogging, going to the movies, gardening and spending time with her significant other. Karla is a Dalhousie University graduate, obtaining her degree in 1998. Karla is proud to call Sevogle home. She has been with the team at Quali-Dent for over 14 years and is dedicated to her profession; serving Miramichi communities with integrity and pride. Tammy was born and raised in Miramichi and is mother to two beautiful children, ages 10 and 13 years, Tammy joined the team of Quali-Dent over 21 years ago. In 1992, Tammy graduated from Algonquin College after completing her secondary studies at Miramichi Valley High school in 1986.